Most people admit to being less productive than they would like to be. Then there are those individuals that seem to be able to squeeze 2 or 3 days’ worth of production out of 24 hours. The result is definitely not a difference in willpower or effort. This is not a case where most unproductive people are lazy. On the contrary, many people work very hard at trying to be more productive but continually fall short of their goals. The difference between those 2 sets of people often times comes down to how they spend their mornings. Do you wake up to an alarm clock at a specific time, or do you simply rise from your bed whenever you feel like it? Do you follow the same process each morning, or do you just sort of “wing it”, following no specific game plan? There is plenty of research to indicate that those people who wake up in the morning with a purpose and a plan enjoy wonderful benefits like better productivity, better health, greater happiness and other rewards. People who get up with a specific schedule or plan in mind are much more productive. Michael Smolensky, Ph.D., of the University of Texas at Austin. Productive morning people “… tend to get better grades in school” and are more proactive than late risers. This proactivity also leads to success in other areas of their lives as well, such as personal, emotional, financial, spiritual, etc. Can simply having a productive morning lead to such marvelous results? If so, are there certain processes you can follow each morning to set you up for success throughout the day? That is the focus of this blog post. You will learn exactly why morning people are more productive than night owls. You will discover how to wake up feeling refreshed, how to form long-lasting habits of productivity and the mind-body connection which must be nourished for a happy, successful and productive life. You will also find out what types of tasks you should be tackling first thing each morning, and how to create to-do lists that actually get done. Are Morning People More Productive Than Night Owls? Earlier you discovered that when you get up in the morning with a purpose, you tend to be more productive throughout the day. That has been proven by experiments conducted by Dr. Smolensky. There is a lot of other research that supports that same theory. You have probably noticed this in your own life. When you set your alarm clock early you do so for a reason. You have some proactive plan or idea in mind of some activity you want to get started on. You wake up bright-eyed and bushy-tailed, anxious to attack the day. You find yourself focused and energetic, and you get started on the day’s plan soon after rising. Because of this, your productivity soars and you accomplish more than if you simply woke up whenever you felt like it and reacted to the day. Professor Randler’s “morning person” research was referenced in the introduction. He found that simply by getting up earlier than others, the majority of his 367 test subjects got better grades in school than their late sleeping counterparts. This led to better job opportunities. Those morning people were also able to anticipate problems ahead of time, proactively preparing for them in advance. All of these life rewards were the result of getting up early to start your day. Getting up early and getting things done leads to less stress as well. As the day progresses you do not become bogged down because your tasks back up on you. Your early morning productivity continues as the day goes on. The end of your day isn’t hectic, you go to bed with no anxiety about tomorrow morning, and you look forward to waking up and starting another day. Anyone can get up early. Maybe you already do. The key to all-day productivity is in rising to meet the day with a feeling of mental and physical energy. How do you do this? By programming your body and mind to prepare you for the morning, and this starts the day before. This means when their alarm clock goes off, they get up. They are looking forward to starting the day. They don’t hit the snooze button, fighting the idea of getting out of bed. Go to bed at the same time each night. Wake up at the same time each morning. This is extremely important. Even if you were born to prefer waking up late and staying up late, you can program your internal clock to turn you from a night owl to a morning lark. You wake up feeling refreshed when you continually get 8 hours of sleep, getting to bed early and waking up early as well. Your bedroom should be conducive to sleeping. This means removing LED displays, consumer-electronics products, and as many physical items as possible. As you are preparing for bed, you want as few distractions as possible to your 5 senses. Your body should know that when you enter your bedroom at a specific time in the evening, you are going there to sleep, not to watch television, read, or text your friends. Do you have a hard time getting up early? If so, you can feel the opposite of refreshed and energetic when you force yourself to get up before your body is ready. There is a way to fix this problem. Begin by gradually rewinding the time you awake by 10 or 15 minutes each week. This gives your body, and your mind, a chance to slowly get used to an earlier starting time. Do the same thing to your bedtime schedule. When I was in the Navy and on our deployment I learned this isn’t that hard to do. As we crossed the ocean, it seemed like we were changing the time by 1 hour almost every day. I wouldn’t recommend going this extreme. I believe it would work if you wake up 10-15 minutes earlier each week or maybe every 2-3 days until you hit your goal. Exercise is important, obviously for physical health. It also keeps your brain strong and healthy, and is linked to a lowered risk for cancer, diabetes, heart problems and other chronic health conditions. Your physical fitness routine is also important to allow you to start every day with a lot of energy, mentally and physically. Did you know that people who work out in the morning sleep better than those who work out at any other part of the day? You can use this fact to arise every morning full of vitality and energy. Schedule your exercise in the morning. When you do this frequently, it leads to better sleep patterns. You already know how refreshed you feel when you get a good night’s rest, so start adding a morning workout routine to guarantee you enjoy restful sleep at night that delivers plenty of energy the next morning. It probably doesn’t surprise you to know that you should be eating more fresh fruits and vegetables and fewer processed foods. You know the importance of drinking lots of water throughout the day, avoiding fast foods, sugar, salt and MSG. Nutritionists, doctors and other health experts believe that as much as 60% to 70% of your level of physical fitness and health is dictated by your nutrition, so eat accordingly. Meditation helps you focus on the present moment. It lowers stress and anxiety levels, calms your mind, and has even been linked to improved physical health when practiced regularly. You know it is important to feed your body the right kinds of food. Your brain needs the proper fuel as well. Spend some time each morning meditating, practicing yoga or Pilates, or listening to some soothing music that helps prepare for the mental tasks ahead of you. There are a lot of reasons why you should be eating protein for breakfast. Studies show that this practice leads to eating less throughout the day. This means you don’t feel bloated, suffering a mid-morning energy crash that requires you to reach for unhealthy sugar, sweets and energy drinks. Eating protein each morning also means you are not skipping breakfast. It is important to fuel your body each morning, since it has been anywhere between 8 and 12 or more hours since you last ate. Making a concerted effort to eat some type of protein for breakfast also allows you to add another step into your daily routine that signals your brain you are about to start the day. Upon rising, drink 2 (two) 12 to 16 ounce glasses of water. This does not mean running from your bedroom to your kitchen and greedily swallowing down 24 to 32 ounces of water immediately after you wake up. Just make sure you do this before you eat your breakfast. This is a simple way to cleanse your body of toxins, poisons and other unneeded substances. Since your body has been detoxing throughout the night as you rested, this boosts your natural cleansing power and helps you start each day clean and refreshed. People are more distracted today than ever before. Consumer-electronics have teamed up with the “always on everywhere” qualities of television, radio and Internet media to produce an in-your-face avalanche of sensory overload that is present 24 hours a day. Even the most productive individual has problems getting things done when there are too many distractions crying for his or her attention. The answer for productivity in the morning, and any other time of day, is minimizing the number of things that are attempting to distract you. Cell phones, email, social media and web browsing are all electronic distractions. Limit your exposure to them. Your mind is always going to try to deal with any input recognized by your 5 senses. Electronic devices often appeal to your vision, hearing and sense of touch at the same time, meaning an involvement of 60% of your senses! Limit your exposure to electronic devices and your productivity soars. The same is true for taking unscheduled breaks and receiving unscheduled visitors. Not only are cigarettes unhealthy, but when you spend too much time every day puffing away on your cancer sticks when you should be working, your short-term and long-term productivity and career advancement options suffer. I’ve been fighting to kick the habit myself so trust me I know putting them down isn’t easy. Unfortunately, research shows that I’m way more productive when I’m not stopping every hour to smoke. You should also avoid long lunch breaks, which make it harder to get back into the mental frame of mind you were in before you took your midday break. The first task you take on each morning should have meaning. It should be important. As mentioned above, this certainly doesn’t mean checking your emails or text messages. You can use the strategy suggested by Mark Twain to do exactly that. If you knew you had to eat a frog, how would you go about it? One thing is for certain, you wouldn’t waste any time. You would take action immediately. That’s what you should do each morning, tackling your biggest, hardest and most vital task first. This accomplishes several important things. It gives you a sense of accomplishment to build on throughout the day. When you clear your biggest hurdle early in the morning you see that you have plenty of time left in your day to get everything else done. This practice also helps if you run into trouble throughout the day. You have successfully accomplished your biggest task. If problems arise throughout the day, you have the comfort of knowing you have already enjoyed a high level of productivity. What do you do if all of your day’s responsibilities are basically small, and of the same level of importance? If this is the case, knock out those activities which require the least amount of time first. With this strategy you can easily remove several of the items on your to-do list in a relatively short amount of time. Then your list does not look as impossible to finish. Throughout this blog post planning and routine are mentioned extensively. This is because you cannot reach any desired destination without a plan. If you start off on a trip without charting which roads to take, you could end up anywhere! This means preparing for your perfect morning the night before. You learned earlier that removing distractions from your bedroom helps create a positive sleep environment. You should also end each day by thinking about tomorrow’s tasks. Just take a few minutes to write a quick, non-prioritized list of what you are going to have to do tomorrow. Writers, scientists and other professionals that struggle with answering some problem use this process to effortlessly awake with the solution. Right before going to bed, they focus on the problem they are having. Then they go to bed, following their usual routine. Many times they awaken in the morning with the solution, since your subconscious is tasked with unconsciously solving problems. Make focusing on tomorrow’s activities a part of your pre-sleep ritual. As mentioned earlier, follow the same ritual each night. Head to bed at the same time, and awaken at the same time each morning. Follow a morning routine as well, “bookending” your day with ritualistic patterns that lead to better productivity all day long. Do you make to-do lists? Do you write them down on a piece of paper? Studies show that if productivity and getting stuff done are your goals, you probably should not only make to-do lists, but you should write them down as well. Begin by jotting down all of the things you need to do as they come to mind. Refer to the list you made last night before you went to bed, if you are following the smart “night before” productivity enhancer mentioned in the last section. Then begin prioritizing. List your most important, largest task first. Continue listing in order of importance. At the end of this section we recommend some applications and websites which are great for helping you create and complete to-do lists. However, it is highly recommended that you physically write out your list, with a pen or pencil and piece of paper. Dr. Tim Pychyl is a leading procrastination researcher. He has found that the process of physically writing out your to-do list gives you an immediate sense of accomplishment. Read it out loud to yourself. This gets your vision, sense of touch, speech, hearing and your mind’s natural inclination to order involved in the to-do list process. Even though you have not accomplished a thing yet, you unconsciously feel that you have started to complete the day’s tasks. A to-do list shoved to the bottom of your pocket or purse has a small chance of getting accomplished. Post a copy of this important productivity enhancer on your computer monitor at work, your bathroom mirror, beside your alarm clock, and wherever else you will see it several times throughout your day. The squeaky wheel gets the most oil, and constant reminders of your to-do tasks will boost your rate of accomplishment. Here are a few applications, websites and pieces of software that help you create actionable to-do lists that actually get done. We all have habits, good and bad. People try to break old habits and make new habits every day. Some succeed, some fail. There are those that seem to effortlessly achieve anything they want, and those that struggle to create any lasting change in their lives. If only you could develop lasting habits, then you would get all of your important activities done every day, and may even find yourself with some free time. This is the problem millions of people struggle with. They find it hard to create habits that stick, and in many cases it is simply because they are not following the right process. Use the suggestions below and you can turn just about any conscious routine or action into an unconscious habit for life. The power of distractions to derail your productivity efforts were mentioned earlier, but it is important to mention this again. Habit can be led astray by confusing, distracting options. Habit-forming is the process of continually performing the same action over and over again, until it becomes automatic. At first you have to consciously make the effort. Then, due to repetition and frequency, your conscious behaviors become habits that are automated. One way to help you form habits is to eliminate distractions. Your brain is always trying to process information. So the more influences you have begging for your interest, the more watered-down your brain’s ability to concentrate solely on the behavior you want to make a habit. Express exactly what you want your new habit to be. Then think about what environment, mindset, time of day, accessories, etc. will promote habit-formation, while also focusing on that behavior only. Dr. Maxwell Maltz was a plastic surgeon that noticed it took about 21 days for his patients to get used to their new faces. He studied other human habit-forming and habit-breaking areas of behavior and saw the same 21 day average. In his bestselling book on using the mind to create a more successful and fulfilling life, PsychoCybernetics, he mentioned this tendency. Research in 2009 at the University College London showed an average 66 day effort was required to break, or make, habits that last. Depending on personal attributes and other factors, it may take you 21, 40, 66 or 85 days to make a habit that stays with you. In all studies, repetitive, daily practice of the behavior you want to turn into a habit, at the same time of day/night, created the shortest time frame for turning conscious effort into unconscious habit. When we try to change something about ourselves, we tend to bite off more than we can chew. A sedentary, out-of-shape person will make a New Year’s resolution go 100% vegetarian with their nutrition, run 5 miles a day, workout 3 times a week and save $5,000 over the course of the next year. This is virtually a guarantee to ensure you’re going to fail, ending up with low self-esteem and the belief that you are just one of those people that can’t form new, positive habits. All of those goals are very achievable, especially when you start small. Using the above scenario, why not begin by working out 10 minutes each morning? Do this for 3 or 4 weeks. Then add saving $20 each week, continuing that process for 3 or 4 weeks as well. Make your goals bite-size, slowly building up in duration and effort. The 4 habits listed above for your New Year’s resolution can easily become automated, nearly guaranteed behaviors when you start small and slowly, consistently build on your efforts. Give yourself time to focus on just the performance you want to turn into a lasting habit. Don’t rush through the process, seeing it as a daily nuisance or something you have to get done. Make yourself “want” the process. This is easier when the action you are undertaking is important to your values. Allow yourself whatever time is necessary to perform this action, and appreciate the process. There is a phenomenon called muscle memory reflex. When your brain notices you doing some particular form of physical movement(s) or actions in a certain way, it takes notice. After a few series of these movements, it prepares you for what comes next. Use this in your “sticky habit” process. Add a series of physical actions to the behavior that you want to make a habit. 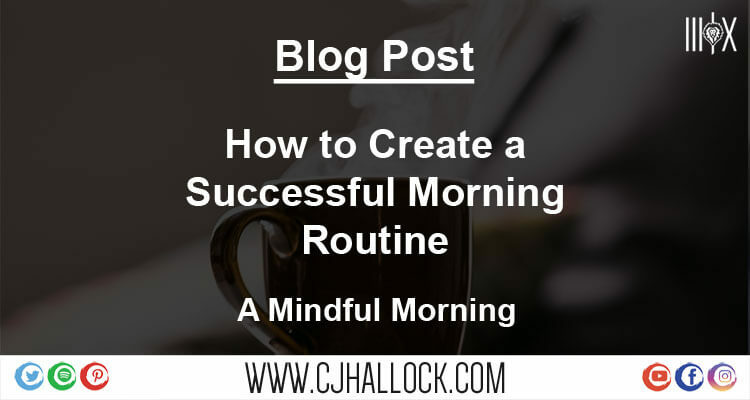 Perhaps you want to write a blog post, meditate or make a to-do list each morning to start your day. You can begin by fixing a cup of tea, following the exact same physical process each morning. Walk to the same environment, sit in the same chair, turn off/on the same light, and do these things at the same time each morning. Your body will eventually use the muscle memory reflex process to recognize that these behaviors signal that you are about to undertake a very particular action. Your mind will then begin to turn your conscious efforts and behaviors into unconscious habits that can stick with you for a lifetime, as long as you continue to follow the exact same process each day, at the same time, in the same type of environment. Life happens. Because of this, there are going to be times when you cannot work on your daily habit-forming process. Even years after you have habituated some behavior, personal commitments, injuries or sickness, relocation or some other interference may undo all of your habit-forming work. Don’t worry. Start the process over. Follow the same recipe you did when you first began creating that particular habit, and you can find yourself re-creating it in no time. I hope this will help you create the morning ritual you need for the life you deserve. Once again I’ve put together my personal Morning Checklist here.